Name: 2015 ANNIVERSARY SUMMER SALE - Congratulations to our prize winner! Description: On the weekend of June 26, 27 & 28, 2015 we will hold our 30th Anniversary Sale. At this sale for each $20 spent, a drawing ticket will be given away. 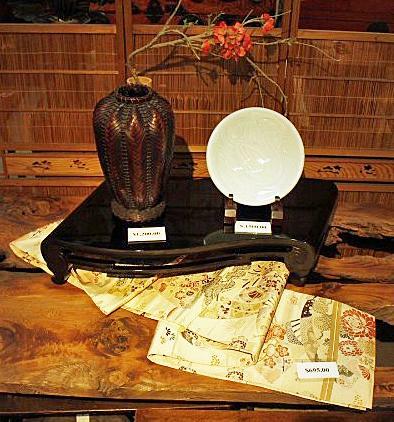 With the drawing ticket you will have the chance to win one of the following: Living National Treasure artist, TSUKAMOTO KAIJI celadon plate, bamboo flower basket, or a MARU OBI. Please see below for full description of each prize. Congratulations Fred & Teddi F.!